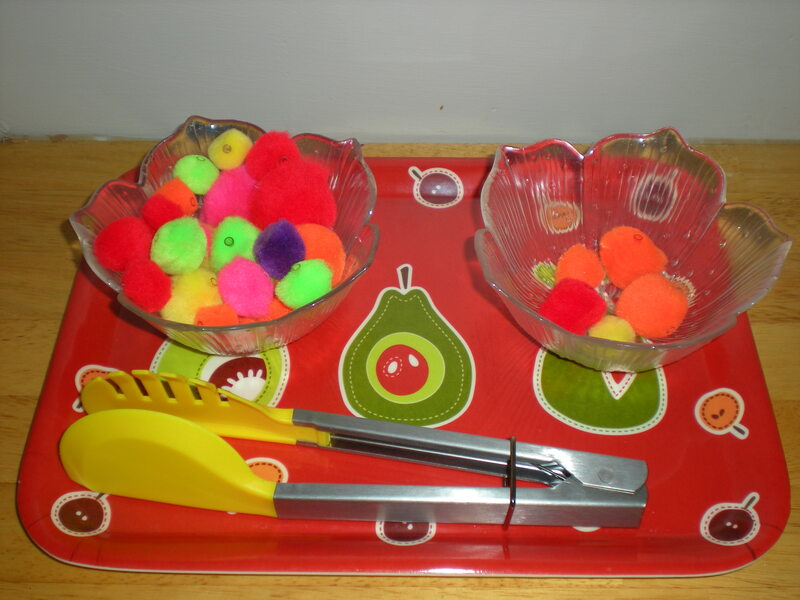 I purchased the Neon Threading Pom-poms in Freemans, Oylegate for only 1Euro 99 cent. 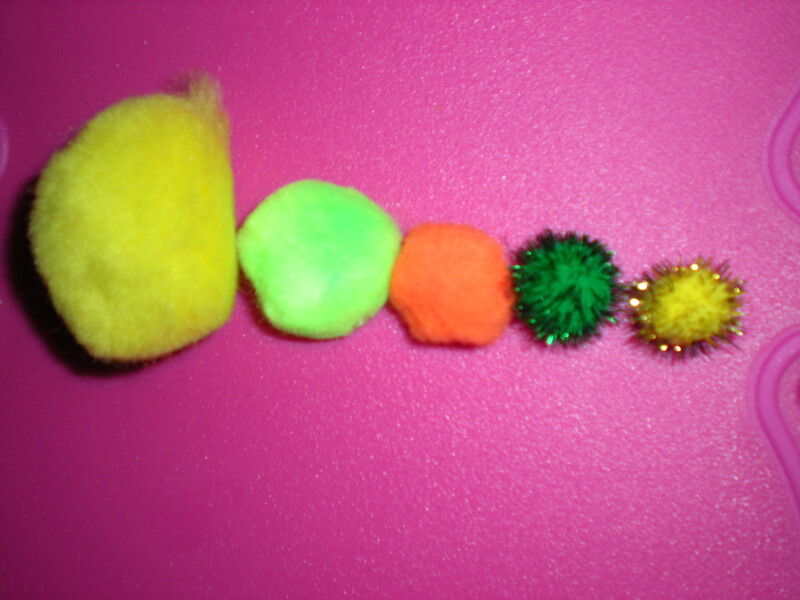 The sparkly one are from the Early Learning Centre. What I like about these packets is that they contain a variety of sizes, allowing for a progression in learning. You can use the largest ones to with small children. 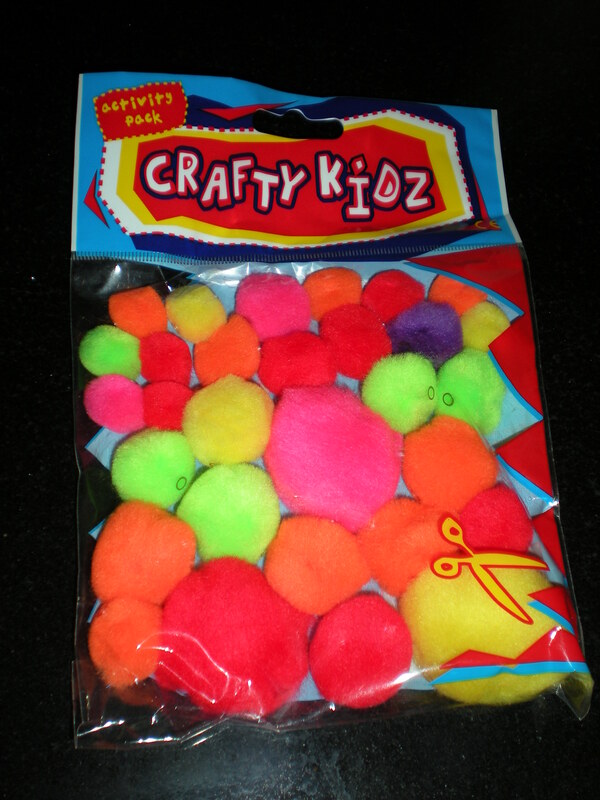 After practice you can swap these for a smaller size and continue until your child is transferring the smallest ones. 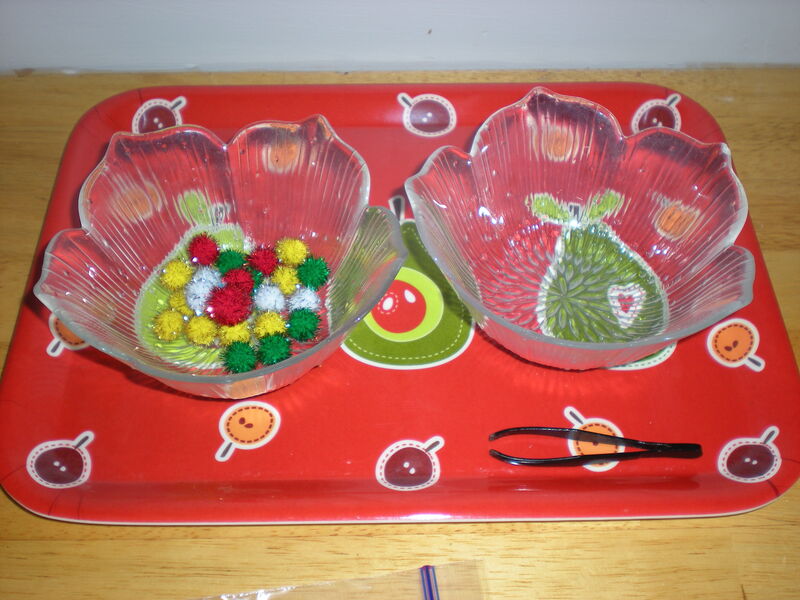 Using a pincer grip, transfer objects from one bowl to another. Then, return them to the bowl. With just two packets look how many sizes you will have!